Learn everything about local SEO, from how-to do local SEO to the best local SEO strategy for small and medium-sized businesses. Staying visible in the online space means staying ahead of your competitors. Local SEO is all about increasing the search visibility for local businesses that serve their customers face-to-face. Most of these businesses are brick-and-mortar businesses with physical locations. SEO local (as what many called it) involves more than just building backlinks and getting mentions by reputable websites. Local search optimization involves claiming a business listing, leveraging Google My Business, having a mobile-responsive website, working on local-centric social media engagement and managing online ratings and reviews. 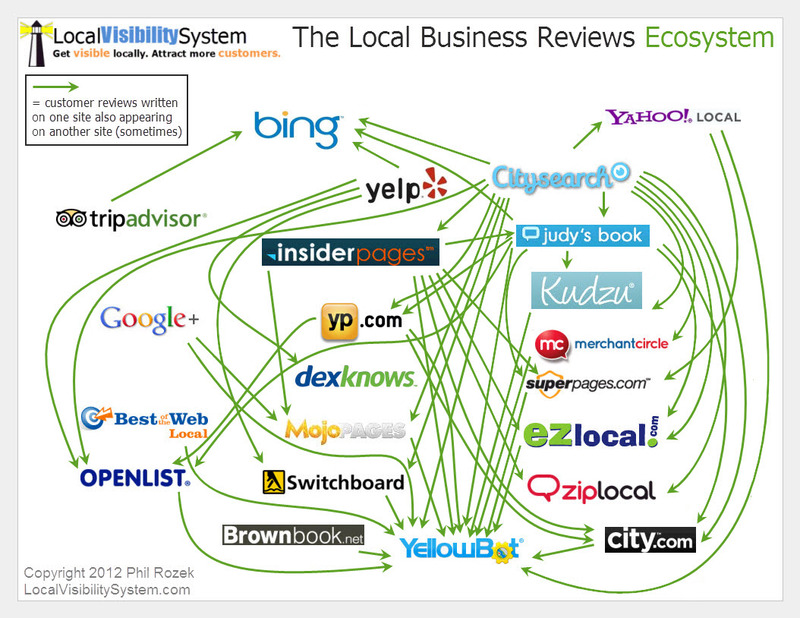 Proper local SEO strategy will bring more visibility to your business. Local SEO marketing allows you to reach a niche market with high buying intent. Stay ahead of your competitors and increase your sales revenue. It is no denial that the competition in the local SERPs is getting more difficult and “your website only doesn’t matter” anymore. With that being said, we have seen the influx of many small business owners ​turning into local search optimization to get better visibility boost. This year, local businesses need to step up their game to get online visibility. Local SEO, to be exact, is dramatically changing and it is affecting local businesses in many ways. Search engines particularly Google had play major roles on how we learn, how we collaborate, how to shop and how we interact with one another, within our local communities. Regardless where you live, technology especially search intent plays a huge role and affecting the way we make decisions daily. From the data above, we can conclude that there are approximately seven billion unique local searches per month on Google in the United States alone. And this stat was taken in year 2017. Can you imagine how many searches nowadays that involved local searches? Major search engines such as Google, Yahoo! and Bing are displaying local search results through data collected from social media platforms such as Facebook. Yellow Pages that once dominated the local search is no longer the primary solution in local search. ​Google have also rolled out many algorithm updates (​especially the one on March 9, 2009) which impacted the way results are displayed on the result pages. That algorithm change was a milestone where Internet users no longer need to include any city or geographic terms in their search to be shown results that are local to their location. Do you find it hard to rank on the first page of Google result pages? With the constantly Google algorithm updates, it is pretty much impossible to use the same SEO technique to rank your website or content. ​Yes, we hear you — bloggers, webmasters and business owners are cursing Google development team for this. But hey, no one is perfect and the constant rollouts in Google just makes the search engine much more revelant to you and me. We wish it was easy to do local SEO as it was in 2004. Back then, ranking on local SEO is seriously a walk in the park which involves creating a simple website, keyword stuffing and near to zero keyword research. In order to do local search optimization successfully, you need to figure out how and from where Google is surfacing various pieces of information, what your competitors are doing in the marketing their business locally. In today’s world, local SEO marketing is the new way of marketing your business. Visual marketing for example, had been the driving force for many businesses as customers are more interacted with well taken photos which represents a storyline. Do you noticed that recently Google tends to return results that include a blend of both website and ​local information​. As you can see on the side, the Internet user doesn’t need to specify ​the location but yet, Google is able to display results based on location. Since the Spring of 2012, Google has returned an increasing percentage of these “blended” results for local queries—meaning it’s important to optimize not only your website, but ​all your online listings and pages found on the web. If you are still wondering if local SEO is needed for your business, this is the time to do so! Even if you have a brick-and-mortar store, having an online visibility (such as Google Listing and a website) will attract more customers to your store and at the same time, staying ahead of your competitors. Where Should You Prioritize Your Online Marketing Resources? If your business sells products or services to customers located in your geographic area, optimizing for local search is definitely a must for you. Both Google and Bing have indicated that over 20% of all desktop search queries are local in nature and that somewhere around 70% of queries on mobile phones and tablets are local. From the stats on the left, we can conclude that consumer buying behavior is highly affected through mobile and online marketing. Local businesses who want higher sales conversion should spend more time and effort in being visible in the online world. The more visible they are, the better chance they will be able to convert visitors into paying consumers. Here’s the thing. These percentages will only increase in the coming years. Depending on your business model, local search may be a key component of your overall marketing mix. But it shouldn’t necessarily be the first place you start with your online marketing. Many factors like the age of your website, whether you have someone available in-house to work on your online marketing, and the physical location of your business will all influence whether local search should be your primary focus, or whether you might be better served taking a look at organic search or social media first. One of the biggest misconception in local SEO marketing is customer reviews. Google doesn’t value its own reviews more than those found on other platforms because algorithm updates and different search engine filters might mistakenly lose important reviews. ​There is one easy fix when it comes to reputation management — never put all your reviews in one basket. ​Instead, local business owners should diversify its reviews on various platforms such as TripAdvisor, Facebook, Google and Yelp (to name a few). Part 1: How to find excellent review sources in your industry? Having more reviews on various platforms are good to have, but not all review sites are created equal. There are some review sites that offer more weight in the eyes of Google compared to others. For example, websites with strong brand names and industry-focused niches will be more important that others. There are two very simple ways to determine the most important review sites in your industry, and both involve simple a simple search on Google. On Google search bar​, key in the following: “industry keyword” reviews. We are located in Melaka, Malaysia and therefore, our search results are highly based on the location near us. The search results came back with the top 3 western restaurants in the search view. Now, since we are at this, we want to stress the importance of having proper local SEO marketing which includes reputation management. Take a look Olio Italian Restaurant which has 3.2 average rating (based on 14 reviews), Sirocco Restaurant with 4.4 average rating (based on 26 reviews) and Work & Pan with 3.7 average rating (based on 170 reviews). Which will you choose if you are a consumer? Local SEO is no longer a luxury. It is an important reputation management to help you increase visibility locally and increase your business/sales. Earlier, we said that not all review sites are equal and we want to stress them again now. Review sites that syndicate their reviews to other platforms (to search engines and social media platforms for example) are considered more valuable than those who don’t. In today’s search engine world, machine learning is ​playing a larger role in local SEO. Therefore, it is important to note that being visible (having reviews for example) in more platforms and websites will send signals to Google that will impact your ranking on search engine result pages. The more reviews your business gets on various platforms would help increase the brand visibility. After all, research had shown that potential buyers take around 7 to 11 engagements before being able to make a purchase/decision. All in all, review syndication is like a wide and tangled ecosystem that impacts the way your business is being seen in the online world. ​Here’s a great ​resource we found on the Internet. Do You Really Need Professional Reputation Management? ​In this era of constant social-local-mobile interaction, every local business is bound to receive its share of negative reviews. What do you do when you get a negative review on Google? Panic, panic and more panic. In this era of constant social-local-mobile interaction, every local business is bound to receive its share of negative reviews. Like it or not, reviews will always remain one of the biggest factors for us when making a decision. From buying a new smartphone to choosing a holiday destination, reviews are going to make it or break it for many local businesses. During the recent short holiday planning, Reginald (founder and CEO of Search Maven) made his decision to stay at the top spot Resorts World Genting as there are more reviews (900 reviews with average rating of 7) instead of the second spot Grand Ion Delemen Hotel that has an average of 7.1 score with 343 reviews. As much as we users care for the reviews, the ever growing of negative reviews are also something that concerns many local business owners. ​Negative reviews are always the bread and butter for any reviews. Regardless legit or not, businesses are bound to get negative news from time to time. So, don’t fret! While having negative reviews cannot be avoided, these had also become a reality for more and more business owners, and their mere existence does not typically require seeking professional help from a reputation management specialist. There are cases, however, in which a pattern of accusations of terrible service, or even bad business practices or illegal activities can begin to fill up the search engine results with very negative data about a given business. Obviously, an ounce of prevention is worth a pound of cure: Rooting out and correcting internal problems is the best method of protecting your business from earning a negative online reputation. ​Put very simply, the practice of reputation management involves replacing undesirable content with new content that paints a given business in a better light. This is typically a costly process that may be beyond the budget of many small businesses. Even big businesses often get reputation management wrong. At the small business level, your best bet is to be proactively engaged online so that you are not only aware of what customers and others are saying about you, but that you are also joining in the conversation wherever appropriate. Responding to both positive and negative reviews with skill, transparency and accountability is one of the best ways to create a favorable impression of the good will and professionalism of your business. And, don’t be afraid to try new things that will generate new, positive press about your business on an ongoing basis. Older, not-so-great reviews and comments about your business will gradually fall further away down the results if you are making a consistent effort to publish and inspire new positive, popular content on a regular basis. While there are cases in which hiring a reputation management firm may be the best option, this is unlikely to be the appropriate response to the predictable handful of negative reviews nearly every local business can expect to get as a fact of doing business in today’s world. Rather, you can read up on making a positive response to a negative review. Have concerns about starting local SEO for your business? Talk to us today! 2A, Jalan PS 3, Plaza Semabok, 75050 Melaka, Malaysia.